A simply astounding Cognac from Ragnaud Sabourin. 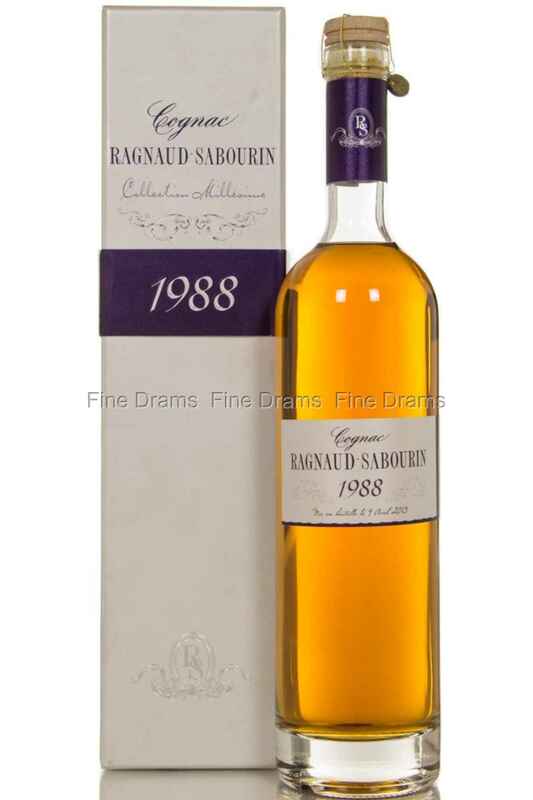 Ragnaud Sabourin are renowned for being of the finest producers in the Cognac region, and remain family owned. They grow all their grapes within the premier cru of Grand Champagne, widely viewed as the highest quality area of the region as a whole. This is a single vintage Cognac, meaning everything bottled was distilled in one year and of one year’s harvest. This is usually only done for the very highest quality harvests, and points to a Cognac of a rare excellence. This Cognac shows its quality on its nose, rich and full, with slight floral notes and hints of dried fruit, honey, figs and spice. The palate is faithful to the nose, adding a mouthfeel of incredible depth and buttery texture, with rich flavours of toffee, caramel, sweet grapes, oak paneling, figs and dried apricots. The finish is slightly floral with notes of oak, cherry and drying toasted spices. An extraordinarily good Cognac, bottled in a charming old fashioned bottle. There are few of these bottles around, so drinkers should move fast if they want to taste this excellent spirit.